Science-fiction films like The Terminator play on our greatest fears about the digital age by offering us a bleak vision of the future, where robots have gained enough intelligence to overthrow humans and take over the world. While there is no indication that anything so extreme is going to happen in our lifetime, developments in digital technology are certainly happening at a rapid pace. As well as being able to perform routine, repetitive activities, robots are also now being developed with the ability to perform more complex tasks, putting more and more employees at risk of being replaced by robots in the next few decades. In fact, the latest research by Oxford University predicts that 35% of existing UK jobs are at risk of automation in the next 20 years. So, in an increasingly automated world, what industries offer a really future-proof career? According to the new report by researchers Michael Osborne and Carl Frey, the plumbing and heating industry is a trade with great longevity where human skill will always be in demand. In their report “The Future of Employment: How Susceptible Are Jobs To Computerisation?”, Osborne and Frey discuss the huge impact technology is likely to have on employment possibilities across many industries in the future, arguing that advancements in technology are allowing for the computerisation of more complex tasks than were ever previously thought possible. In order to determine the extent to which certain jobs are at risk of being digitalised, the Oxford University scholars examined them in the light of nine key skills required for their performance; social perceptiveness, negotiation, persuasion, assisting and caring for others, originality, fine arts, finger dexterity and the need to work in a cramped space. One essential attribute of plumbing and heating engineers is manual dexterity, for example, being able to hold an arm or hand steady when supporting a piece of pipe, the ability to use fingers to manipulate small objects and being able to coordinate the movements of both hands. One of the report's most important findings was that manual dexterity is one of three key characteristics protecting jobs from automation, with low-skilled and low-wage jobs found to be most at risk. What's more, the fact that plumbers are also sometimes required to work in a prone position or cramped spaces, something hard to emulate with machinery, puts them even further ahead of robots in the war of the workplace. So if you're a school-leaver thinking about that next step or even just someone considering a change of career, remember that a job in the plumbing and heating industry isn't just a rewarding trade day-to-day but will offer great job security for the years to come. Prevent pollution this winter: check your oil tank! So you're already a champion recycler, you take care to turn the lights out before leaving every room and you cycle to work whenever you can. What else can you do to protect the planet? By taking care to check your oil tank this winter you're not only helping to defend the environment against the damaging effects of oil leaks on local ecosystems but also guarding yourself against what could potentially be large financial losses. Moving from drains directly into rivers, streams, lakes and even garden ponds, leaked oil quickly enters the watercourse, where it has a catastrophic effect on wildlife, poisoning fish and other creatures and smothering plants. In fact, such is the destructive power of oil, just 2 litres of it could seriously pollute the volume of fresh water needed to fill an Olympic sized swimming pool! Jamie Fairfull, Senior Environmental Officer at the Environment Agency commented, "Heating oil can cause serious problems if it gets into the environment. But it's not just the cost of losing the oil that can be expensive, clean-up costs can be large and are not always covered by household insurance policies." "This is why it is vital that oil is only ever stored in tanks that are in good condition. Both the tank and pipework should be regularly inspected and people should never buy more oil than they can safely store." •Locate tanks as far away as possible from drains, streams and ponds. 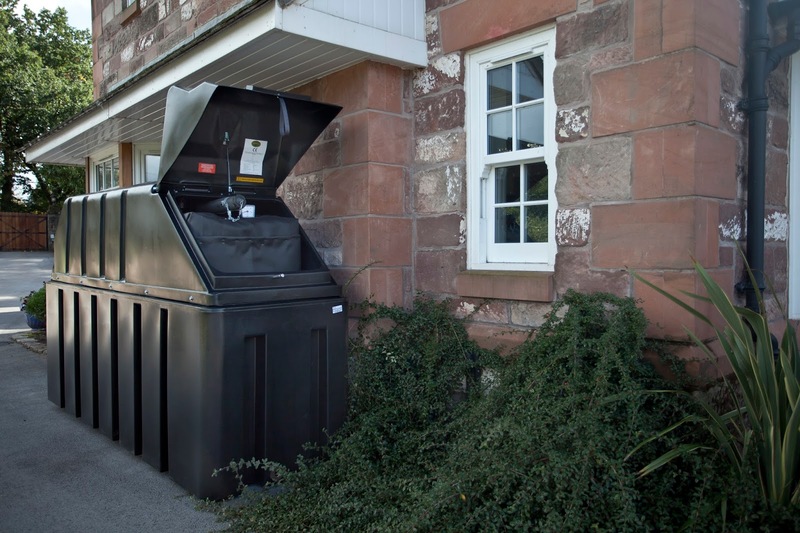 With the ability to be located up against or even inside buildings, Tuffa Fire Protected Oil Tanks make this easy. •Inspect tanks, pipes and other equipment for leaks, damage and interference once a week. Any problems should be fixed as soon as possible by an installation business competent in oil fired installation work. This should include any underground pipework. •Monitor how much oil your tank uses. If the oil usage suddenly increases then there could be a leak. •Supervise oil deliveries to ensure that your tank is not overfilled. You should also remember not to order more oil than you can safely store. •Check that your home insurance covers clean-up costs on both your property and the neighbouring land. Be sure to always notify insurers immediately in the event of a spill or a suspected spill. •If your tank starts leaking, try to stop the oil soaking into the ground or going down the drains. Contact an installation business competent in oil fired installation work or your insurance company to arrange for them or a UK-spill accredited clean up company to come out. Visit www.ukspill.org. •Secondary containment (such as a bund) will prevent oil from leaking into the environment if a leak occurs. This is a legal requirement for domestic tanks which store more than 3,500 Litres. •To report an oil leak or a spill, contact the Environment Agency's 24 hour emergency hotline on 0800 807060. What will your top priorities be on moving into your student house? Tracking down your nearest pub? Personalizing your room? Ensuring your landlord is Gas Safe? Chances are the last of these hadn't occurred to you, however, with badly maintained gas appliances leading to fatal gas leaks, explosions and carbon monoxide poisoning, knowing your rights as a tenant could well save your life. Your landlord has a legal responsibility for your safety. This means that every gas appliance they provide you with, for example, boilers, cookers, hobs and fires must be correctly maintained and a gas safety check carried out every year by a Gas Safe registered engineer. Help ensure these checks take place by cooperating with your landlord and ensuring there is always someone to let the engineer in, remembering to check their Gas Safe ID card each time. Take care to look on both sides of the card for details of the engineer's license number, the start and expiry date, the security hologram, the work the engineer is qualified to do and their up to date qualifications. Alternatively, you can easily check that they are registered and view their photo on the Gas Safe website or call up Gas Safe directly. On moving into your student house, make sure that your landlord provides you with a copy of their Gas Safe Record (also referred to as the landlord's Gas Safe Certificate), as they are required to do under the law, and don't forget to fit an audible carbon monoxide alarm (ones marked with British Standard EN50291 are recommended). Keep an eye out for signs that your gas appliances aren't working correctly, such as lazy yellow or orange flames instead of crisp blue ones or any black marks/stains around the appliance. 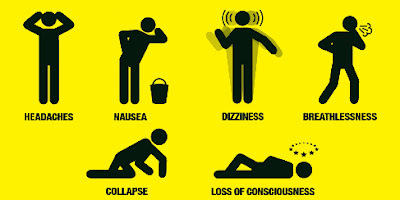 Carbon monoxide is invisible, odourless and tasteless but can kill quickly and without warning in just a couple of hours. Always stay alert for the key symptoms of carbon monoxide poisoning (headaches, dizziness, nausea, breathlessness, collapse and loss of consciousness) and remember that these are sometimes confused with two of the most common complaints amongst students - hangovers and the flu. If you experience any of these consider carefully whether you're really feeling the effects of that last drink, or suffering from something more serious, in which case you should seek medical help immediately. In an emergency, call the Gas Emergency Helpline immediately on 0800 111 999. Alternatively, in the event of your landlord refusing to properly service and safety check the appliances they have provided, ring the Health and Safety Executive on 0845 345 0055. The start of the University term is always a busy and exciting time with plenty to remember - from the location of your lecture halls to the names of all your coursemates! However, when it comes to moving into your student let, it really does make sense to be Gas Safe rather than sorry. For more advice on how to keep Gas Safe as a student, click here or find out how you can support Gas Safety Week 2015 (14th - 20th September) here.